Reading Comprehension strategies do not differ much between books. Essentially, most prep books will tell you to read for the big picture. MGMAT Reading Comprehension book is no different in this regard. It does, however, build upon some of the usual strategies, thereby providing a strong base for Reading Comprehension. Is it as good as the MGMAT Sentence Correction? That is not to say this book is perfect. It is not as user friendly as the MGMAT Sentence Correction, or even the Kaplan GMAT Premiere’s Reading Comprehension section. What I mean by that is the information is sort of squeezed together on the page without helpful line breaks/indentations/ etc. to help guide reading. The MGMAT RC is also heavy on the theory, especially at the beginning. I would have liked to see even more practice exercises to reinforce some points. In the end, this book may be tough going for many. Those used to the quick and easy take of Kaplan may be put off. Nevertheless, as a tutor, I would encourage this book in conjunction with Kaplan’s. Especially, for those aiming for the higher score diligently working through the MGMAT guide will help them really understand the Reading Comprehension Section. One area in which I found myself questioning was the idea of writing down/outlining the passage. While I think this is an excellent way to start taking apart the passage, it is not such a viable technique on the actual exam itself. That is, students should wean themselves from writing down information so that they are processing that same information mentally. Of course that has just been my own experience. 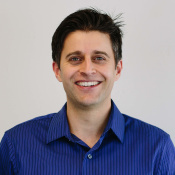 Perhaps MGMAT could have shown some latitude on the approach, hinting that writing down information, while effective, may not be the best for every student. Then, there is the content of some of the passages. Not all of them are GMAT-y enough. Again this is a minor quibble, and one that easily countered by the fact that one can simply use this book in conjunction with the Official Guide. Indeed, this book and the Official Guide should help most students make significant gains in Reading Comprehension. A useful guide that, while not as user-friendly as some of the other MGMAT books, will help students become far more confident in Critical Reading. 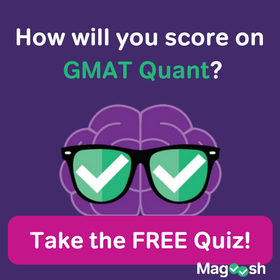 How are GMAT and GRE books for preparing. I have both GRE Manhattan books and bought them after reading your blog. 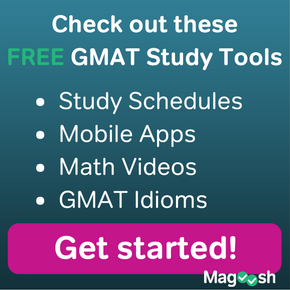 Do you think Manhattan GRE and GMAt books of the same name have overall same content. With the math there is definitely some overlap between the Manhattan GRE and MGMAT books. The same goes for Reading Comprehension. Really the only main difference is the TC/SE and, for the math, Quantitive Comparison (you won’t have to know Data Sufficiency for the GRE). So filling up the lack of overlap between the MGRE and MGMAT is a good idea (though, on the GRE side of things, I wouldn’t recommend the SE/TC book for practice questions; the strategies are fine). Does your comment below(from this blog) means that MGMAT RC will be helpful in making students confident in CR or the book from MGMAT which makes any student confident from MGMAT series is MGMAT CR? Oops… that’s my mistake. Thanks for catching that :). 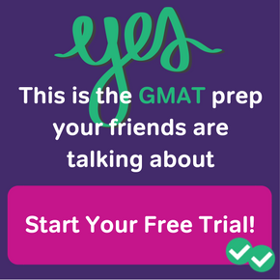 I have the Kaplan and MGMAT practice tests. I was also wondering if I should buy the retired practice tests from OG? The retired tests from OG are excellent. They do a great job of capturing the flavor of the actual test. True, some of the most difficult quant on the test nowadays goes beyond the scope of the retired tests. That aside, the retired questions are a reservoir of practice material. I have 6 months for my GMAT exam. I was wondering if I should use the practice tests now or wait till 2 months before the exam? I would appreciate an help on this. Also, taking a test allows you to determine your weak spots early on.